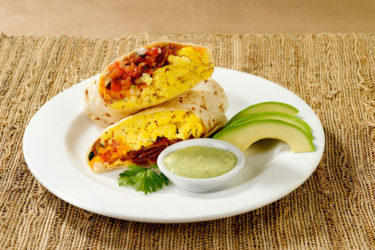 Are burritos a Mexican or Tex Mex creation? 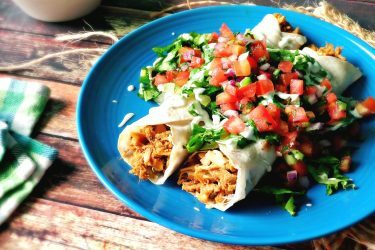 Either way, this shredded pork burrito is sure to satisfy! This is one burrito recipe that you'll want to make again and again. It's got layers of flavor and texture. 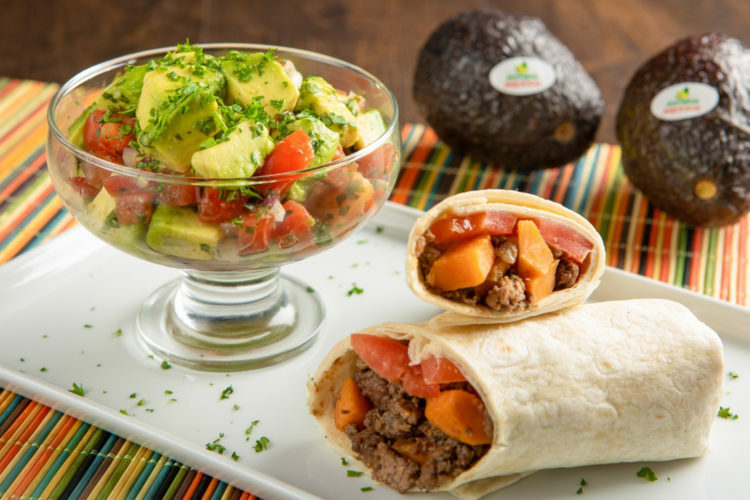 The filling includes must-have refried beans, succulent and fork-tender shredded pork in a chile ancho sauce, and creamy avocado. Top it off with a homemade tomatillo salsa verde for a hearty and ridiculously tasty dish. Are Burritos Real Mexican Food? We hear this one all the time. Are burritos part of the Tex-Mex recipe book that includes classics like fajitas and nachos, or can they trace their culinary roots back to the homeland? The answer is a bit of both. The whole idea of wrapping up meat, beans, cheese, lettuce and tomato in a flour tortilla is distinctly a north-of-the-border concept. Most burrito recipes we know of follow that mould. But that doesn't mean burritos don't exist in Mexico, especially in border towns like Ciudad Juarez. What really matters is that they're delicious and versatile. You can make them with chicken, enjoy them for breakfast, or fill them with your choice of proteins, veggies and cheeses. Transfer the ancho chiles to a bowl, cover with hot water and set aside. Reserve for 10 minutes. In the blender, combine the drained ancho chiles, onion, garlic, water, cumin, oregano, 1 teaspoon salt and 1/2 teaspoon pepper. Blend until smooth and set aside. Heat 2 tablespoons of oil to medium heat. Add the sauce from the blender and bring to a boil. Add the shredded pork and stir well to combine. Lower heat and taste for salt. Cover and continue cooking for 20 minutes. If pork becomes too dry, add a little more broth. Preheat broiler to high for 5 minutes. On a foil-lined baking sheet, add the, tomatillos, onion, 2 garlic cloves and chiles. Drizzle lightly with oil and cook under broiler for 7 to 10 minutes, turning as needed. Once the tomatillo skins have blistered, remove baking sheet from oven. Combine all of the ingredients in a blender and pulse to blend for a coarse salsa. If you like a smoother salsa, blend on high. Taste for salt and pour into serving dish. Heat tortillas on a comal or a griddle on medium heat for just 25 to 30 seconds on each side. Warm the salsa for just a minute in the microwave. Lay the tortilla on a large plate and add about 1/3 cup of beans, 1/2 cup shredded pork and 2 avocado slices. Fold the burrito and add about 1 cup of lettuce to the plate. Place the burrito on the bed of lettuce and top with warm salsa. Serve with a side of your favorite rice recipe. These are big burritos and can be cut in half to serve 2 people per burrito.